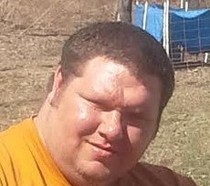 Shaun Dewayne Smith, 34, of Carlisle, Indiana passed away on Sunday, February 28, 2016 at his residence. He was born on November 4, 1981 in Sullivan, Indiana the son of Darrell and Phyllis (Casey) Smith. Shaun graduated from Union High School in 2000. He was an avid outdoors man and who enjoyed fishing and hunting. Shaun is preceded in death by his grandparents. Survivors include his parents Darrell and Phyllis Smith of Carlisle, Indiana, brother Darrell (Lenora) Dewayne Smith Jr. of Sullivan, Indiana, nephew Hayden Smith and two nieces Anna Damron and Makia Chesterfield. Funeral services will be at 11:00 AM Saturday, March 5, 2016 at Newkirk’s Funeral Home in Dugger, Indiana with Rev. Ben Casey Jr. officiating. Interment will follow in Bethany Cemetery in Carlisle, Indiana. Friends may call from 5:00 PM until 8:00 PM on Friday, March 4, 2016.